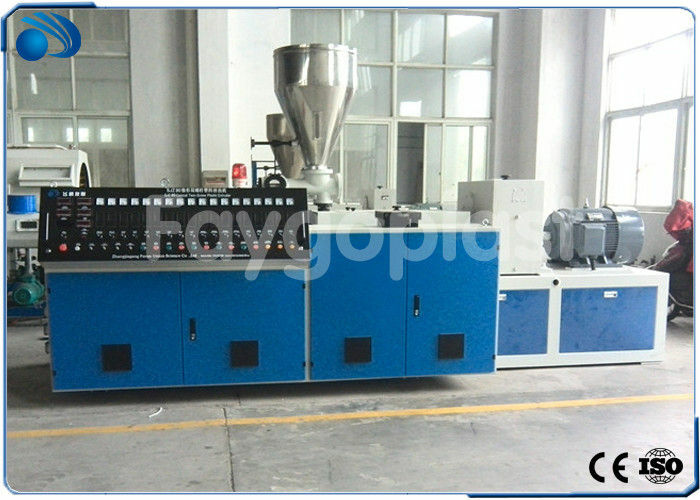 SJSZ series conical twin screw extruder is mainly composed of barrel screw, gear transmission system, quantitative feeding, vacuum exhaust, heating, cooling and electrical control components Etc. 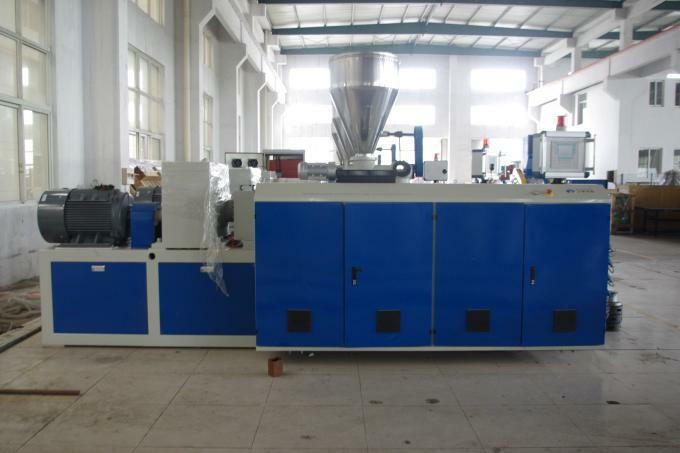 The conical twin screw extruder is suitable for producing PVC products from mixed powder. Our twin screw extruder can produce kinds of PVC plastics pipes, profiles, sheets, plates, boards, bars, pelletizing and granulation. Excellent performance. We are an industrial manufacture factory which locates in Zhangjiagang city, one hour from Shanghai port, with 200 workers, 16000 m² workshop and more than 10 years experience. The price depends on quality and performance but our clients should be satisfied first. Today our products have been exported to Middle East, Southeast Asia, South America and Europe etc.